The woman says high court nominee Brett Kavanaugh assaulted her in high school. A California psychology professor who has accused Supreme Court nominee Brett Kavanaugh of sexually assaulting her in high school wants to cooperate with federal lawmakers considering the nomination, but doesn't want to be part of a Washington "bloodletting," her attorney said on "Good Morning America" Monday. Christine Blasey Ford wants to speak to investigators about her allegations, but she is afraid of becoming the next Anita Hill, Ford's attorney, Debra Katz, told ABC News Chief Anchor George Stephanopoulos on "GMA." Anita Hill testified at the confirmation hearing for Supreme Court Justice Clarence Thomas in 1991 that he had sexually harassed her, which Thomas denied. Ford is "willing to cooperate," her attorney said. "What she's not willing to do is to be part of this bloodletting that happens in Washington." Katz said, "It's not clear what the Republicans are saying. I was listening to some reporting this morning saying that they're going to fight this tooth and nail, that they're going to grill her. That's hardly an effort to get into a fair and thorough investigation of what has occurred. That's a very intimidating statement and it really is designed to scare her and make her not want to come forward." "What I'm saying is this has to be fair and thorough and it can't be part of a slugging match," Katz said. "If we're really trying to get at the truth, the hearings should not be used to weaponize against those who accuse powerful men," Katz said. "I think that her story has to be carefully listened to and vetted, but thus far the nominee has refused to even acknowledge if he knows her or if he went to school with her." 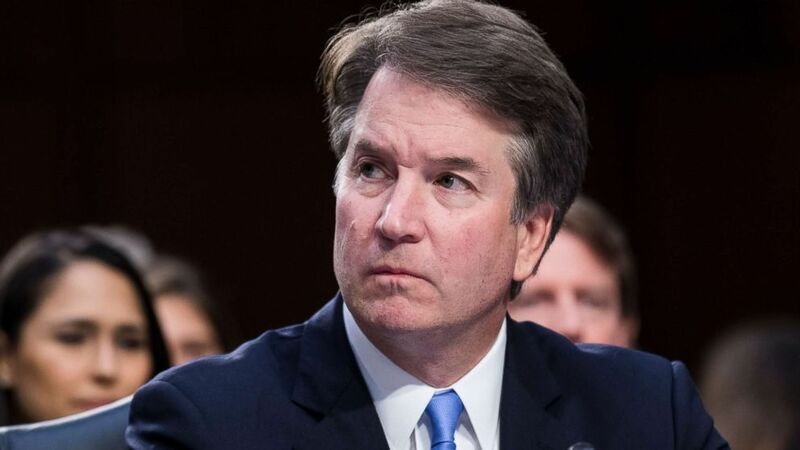 Kavanaugh disputed the allegations on Friday before Ford revealed her identity in a Washington Post story on Sunday. He issued a new statement Monday morning. "This is a completely false allegation. I have never done anything like what the accuser describes -- to her or to anyone," Kavanaugh said in his latest statement released by the White House. "Because this never happened, I had no idea who was making this accusation until she identified herself yesterday. (Bill Clark/CQ Roll Call via Getty Images) Brett Kavanaugh listens to Senators on day three of his confirmation hearing in the Senate Judiciary Committee to be Associate Justice of the Supreme Court, Sept. 6, 2018. After Ford went public in the news story Sunday, White House spokesman Raj Shah told ABC, "We are standing with Judge Kavanaugh's denial." Chris Christie, the former Republican governor of New Jersey and an ABC News contributor, noted on "GMA" that Ford's allegations do not appear to have come out in Kavanaugh's FBI background check. "You presume that in the background investigation this did not come up. And so that also tells you something maybe about the thoroughness of the FBI investigation or maybe about the credibility of these allegations. We don't know," Christie said. "Obviously, the professor here needs to be heard, needs to have her allegations looked at," Christie said. "But also this is extraordinarily unfair to Judge Kavanaugh. This is an allegation that's 35-plus years old and now you're going to attempt to try to deal with that in a very truncated time. (REX/Shutterstock) Senator Dianne Feinstein (D-Calif.) questions witnesses on the nomination of Judge Brett Kavanaugh before the Senate Judiciary Committee on his nomination as Associate Justice of the Supreme Court on Capitol Hill in Washington, Sept. 7, 2018. 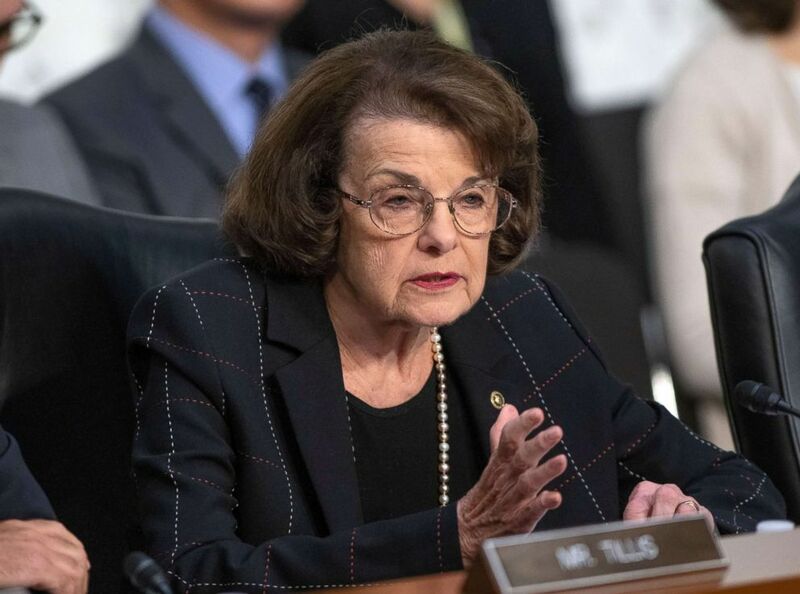 Katz said Ford, 51, initially contacted her congresswoman, Rep. Anna G. Eshoo, D-California, about her allegations and sent a letter to California Democratic Sen. Dianne Feinstein when Kavanaugh's name appeared on President Donald Trump's short list of candidates to replace retiring Supreme Court Justice Anthony Kennedy. Ford wanted to keep her identity confidential but realized she could not when members of the media and others began approaching her at her work and home, Katz said. "Essentially, she made the decision not to go public and those who were not satisfied with that decision essentially created pressure for her to come forward by alerting members of the media and others who essentially started going to her classes, going to her home, invading her privacy," Katz said on "GMA." 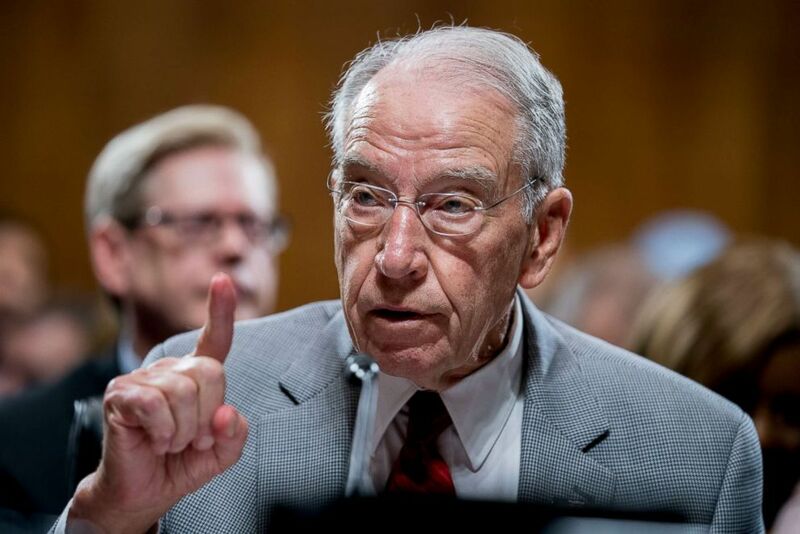 (Andrew Harnik/AP) Senate Judiciary Committee Chairman Chuck Grassley, R-Iowa, speaks during a Senate Judiciary Committee meeting on Sept. 13, 2018, in Washington. "The very ills that she sought to prevent by choosing to make this confidential was already happening to her and she knew it was inevitable" that her identity would become known, Katz said. 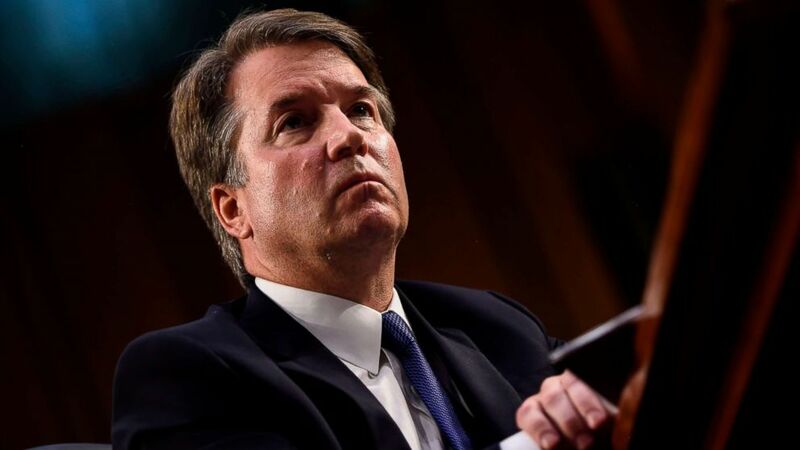 Ford told the Post that the incident occurred in the 1980s when the 53-year-old Kavanaugh was a student at Georgetown Preparatory School in North Bethesda, Maryland, and she was a 15-year-old sophomore at Holton-Arms School, an all-girls school in Bethesda, Maryland. Ford said she was at a teen house party when Kavanaugh and one of his male classmates -- both "stumbling drunk" -- cornered her in a bedroom and Kavanaugh pinned her on her back on a bed, the paper reported. She said Kavanaugh's friend watched as Kavanaugh groped her over her clothes and attempted to remove her clothes and the one-piece bathing suit she was wearing underneath, according to the story. 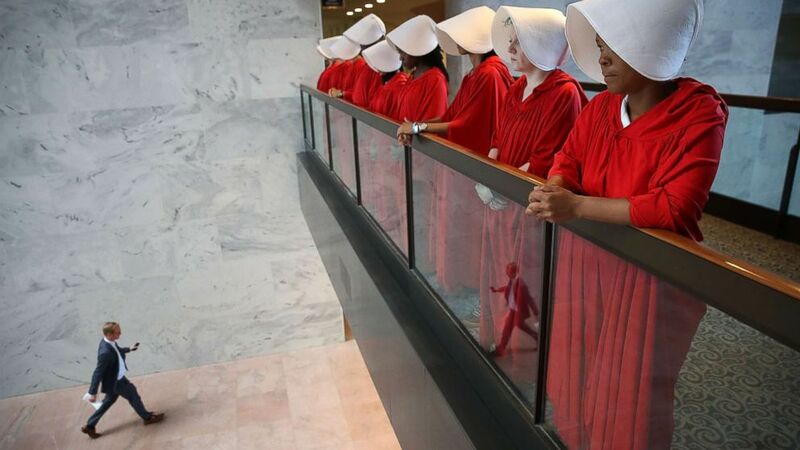 (Win McNamee/Getty Images) Protesters dressed in The Handmaid's Tale costume, protest outside the hearing room where Supreme Court nominee Judge Brett Kavanaugh will testify before the Senate Judiciary Committee during his Supreme Court confirmation hearing in the Hart Senate Office Building on Capitol Hill, Sept. 4, 2018, in Washington, DC. Ford told the Post that when she tried to scream, Kavanaugh put his hand over her mouth. "I thought he might inadvertently kill me," Ford said in the story. "He was trying to attack me and remove my clothing." She said she told no one about being allegedly attacked by Kavanaugh until 2012 when she and her husband, Russell Ford, sought couples therapy, the Post reported. She said on the advice of her attorney she took a polygraph test, administered by a retired FBI agent. The results came back that she was truthful, according to the Post.